Since the terrorist attacks of September 11, 2001, there has been much discussion of the security of borders and ports of entry in the United States and around the world. Ports of entry, particularly sea ports, are viewed as one of the most defenceless targets for a terrorist attack. In response to this perceived vulnerability, a number of port security initiatives have been implemented both on both a domestic and international level. This timely project investigates a number of issues surrounding the container security issue. 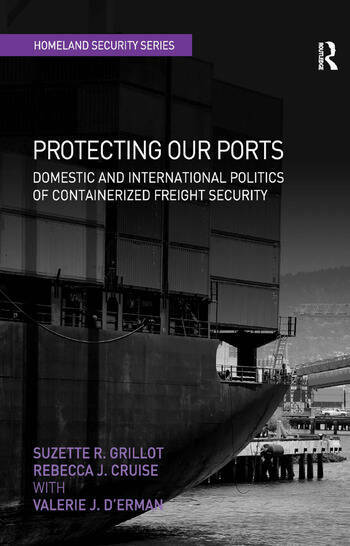 It examines the scope of containerized freight security, analyzes cooperation between agents in the United States and abroad, explores the politics of port security, and provides an assessment of 17 of the world's sea ports. The work sheds light on the container security threat and the domestic and international responses that have emerged, as well as those steps that still must be taken.